A Geometry Problem for TJ/AOS/SHSAT/SAT Test Prep (Medium). Target Time. 25-40 seconds. 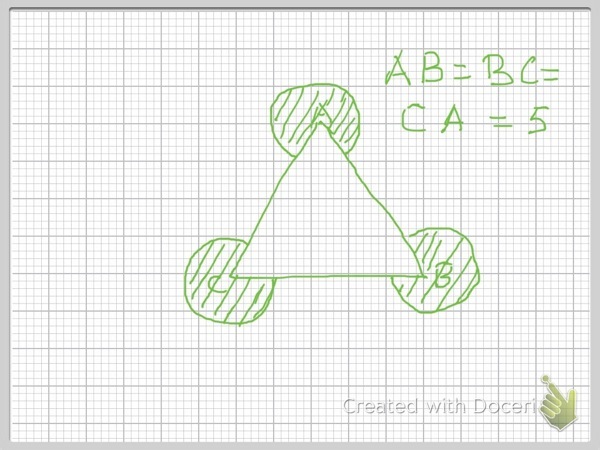 An equilateral triangle ABC with side 5 and three circles with radius 1 are shown in the figure below. What is the ratio of the shaded area to the unshaped area?